This is a color image of six people at a computer convention. 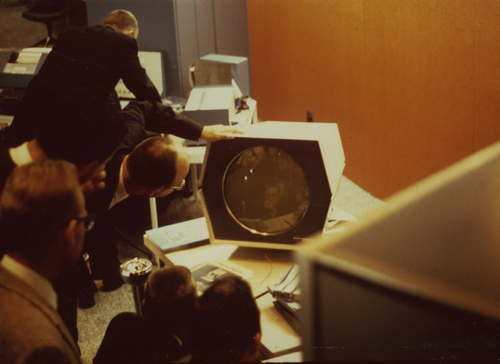 Five people in the foreground are looking at aPDP-1 screen that is displaying two white objects which resembles the game Spacewar! The man in the background is bending over a desk that has the PDP-4 computer. All the men are facing away from the camera. Light is coming from overhead.